Tokyo, Japan – April 26, 2016 – LINE Corporation has announced that it has expanded its provision of LINE BOT API Trial Accounts due to high demand. LINE is accepting a second round of applications starting today. 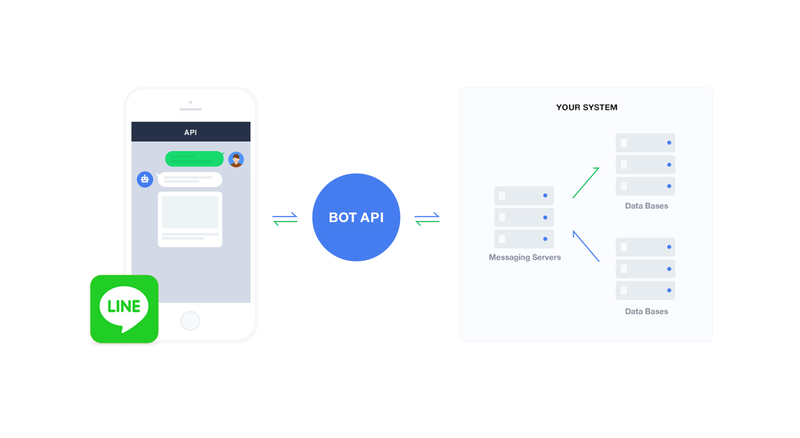 Recently the use of bots in messaging services has become a highly discussed topic, with broad coverage by media outlets around the world. LINE, meanwhile, has provided a number of bot accounts since service launch, beginning with LINE Otenki, a bot that will provide weather information using a specified location and time, first released on August 19, 2011, and since expanding to other bots such as an interpretation bot that will automatically translate friend’s messages when added to a chat. LINE also now has more than 50 bot accounts operated by external companies utilizing LINE Business Connect. LINE began distributing 10,000 free LINE BOT API Trial Accounts to third-party developers worldwide on a first-come-first-served basis on April 7＊1. A large number of applications were received immediately, and submissions were temporarily closed after the target figure was reached on April 15. However, due to the massive response, LINE has begun today accepting additional applications for LINE BOT API Trial Accounts＊2. Interested parties can register via the LINE Business Center (https://business.line.me/en), LINE’s new business portal site for managing LINE@ and LINE Login settings, to begin creating a bot account. *2: LINE is preparing for a maximum increase in trial accounts of around 10,000. Actual limit will be determined according to the usage purposes of additional applicants, and LINE may suspend or end submission acceptance or trial program operation at any time without advanced notice. Furthermore, an application form has been released that allows users to increase the existing 50-friend cap on accounts. After entering the necessary info in the application form (https://feedback.line.me/enquete/public/920-S9vdmeTO) and passing internal screening, the account holder will be able to add a maximum of 5,000 friends＊3. Approved accounts will also be given a random LINE ID which will enable users to add the account using ID search. These accounts will allow businesses to test operation of BOT accounts for a significantly greater number of users. A few accounts that are found eligible for the expanded cap will be highlighted on the LINE DEV twitter account (https://twitter.com/LINE_DEV Japanese only), which broadcasts information relevant to official LINE developers. LINE BOT API Trial Accounts have also been updated since their initial launch to add SSL certification＊4 and dedicated SDKs＊5. LINE will continue to actively add new specifications to make accounts easier to use and test under real conditions, and will conduct various other initiatives as a pioneering platform for bot accounts. *5: As of April 15, SDKs were released for Java (https://github.com/line/line-bot-sdk-java), Ruby (https://github.com/line/line-bot-sdk-ruby), and Perl (https://github.com/line/line-bot-sdk-perl). Under its corporate mission “Closing the distance,” LINE will constantly develop new initiatives and systems for accelerating expansion and improving services as it strives not only to bring people closer to each other, but also to bring people closer to a wide variety of information, services and products.